I would like to acknowledge the members of this community (individuals, corporate leaders, community-based organizations, and foundations) who saw my vision and contributed to TBEY, Inc.’s mission. We have come a long way in successfully providing Milwaukee youth with after-school and summer arts programs. With the generosity and support of the community, TBEY is changing the lives of our young people one at-a-time. I look forward to working with our growing list of partners and more youth as they explore, engage and express. Contessa Lobley (Cole) is the Principal/CEO of CC Consulting Group, LLC. She is also Executive Director/Founder of TBEY Arts Center Inc. (formerly known as Tessa’s Black Entertainment and Youth Center, Inc.), a tax-exempt nonprofit 501(c) 3 organization that provides after school & summer arts education, tutoring and mentoring programs for Milwaukee youth ages 6-19. TBEY was founded 15 years ago by Lobley at the age of 16, after seeing the arts were being cut from many schools, she recognized the need for arts programs to keep Milwaukee youth involved in something positive. She has held a position in community relations at a leading company in Milwaukee, WI as well as a position within the arts field as an arts administrator. Active in the arts, youth and education, Lobley has served as a member of the “Catch a Rising Star Foundation”, a foundation developed to assist the “arts” schools in Greater Milwaukee, and “Peace Learning Center”, a conflict resolution program for youth. She set on the Committee of Usher’s New Look Foundation for the Milwaukee Chapter, a summer camp that helps to empower youth through community service projects. 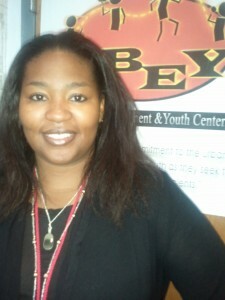 Ms. Cole is an art and youth advocate. Contessa is a small business owner and is active in a number of community initiatives in Milwaukee. One initiative included her role as board advisor of “Janus College Preparatory Arts Academies, Inc.” an independent college preparatory and arts focus school. Lobley received her Master’s Degree in Cultural Foundations of Education and Bachelor of Science degree in Community Education with a sub-major in community based organization and administrative leadership and a Business Minor from the University of Wisconsin- Milwaukee. Mrs. Lobley plans to receive her second Master’s Degree in Nonprofit Management and Leadership in June 2017. Mrs. Lobley is an active volunteer in a number of community organizations and has received several acknowledgements, such as receiving “The CEO of Me Business Award” from the Center of Teaching Entrepreneurship, Inc as a young entrepreneur, which was recognized by the Common Council of the City of Milwaukee and its members in November 2010. Lobley is featured in the inaugural edition of the May 2011 Publication of Who’s who in Black Milwaukee. She is a member of the American for the Arts, The Young Nonprofit Professionals Network (YNPN) Greater Milwaukee Chapter, Milwaukee Artist Resource Network, WI Emerging Arts Leaders, National Guild for Community Arts Education, After School Alliance and Arts Wisconsin. As a mentor and guest lecturer for community, arts, youth, nonprofit and entrepreneurship programs, classes and workshops, Lobley holds a strong commitment to making the Greater Milwaukee area a better place to live and work.